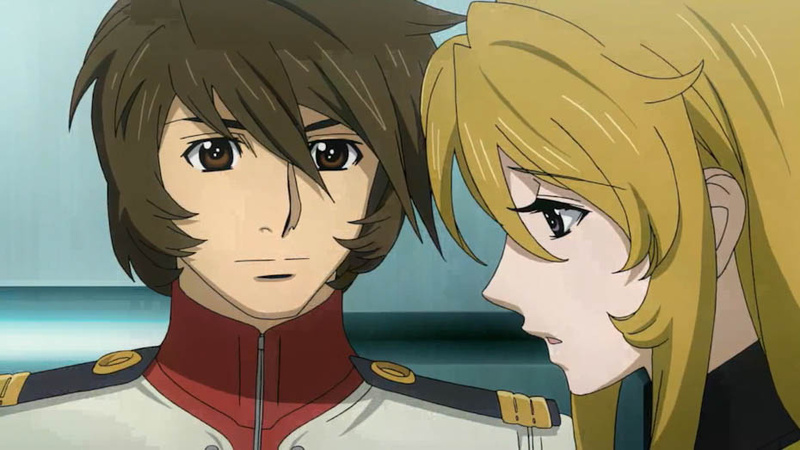 SPACE BATTLESHIP YAMATO 2199 – THE GREATEST SCIENCE FICTION ADVENTURE OF ALL TIME! For anyone that has read any of my posts in the past you will know that I am very nostalgic when it comes to my youth. I cherished being a kid for so many reasons. We had the weekly ritual of Saturday morning cartoons as opposed to today, where there are 24 hour a day cartoon channels. We also had a block of cartoons on each morning before school and another one waiting for us when we got home from school. The Saturday morning showings were on the major networks and the weekday showings were on UHF stations. Saturday mornings were great because not only did you have the great Hanna Barbera and Warner Brother offerings but Sid & Marty Krofft were creating a regular variety of live action shows such as Land Of The Lost and Dr. Shrinker. It is the weekday showings though that I am currently here to talk about. These showings introduced me to a whole new type of animation; an animation from Japan. At the time we called it Japanimation and now it goes by the name of anime. 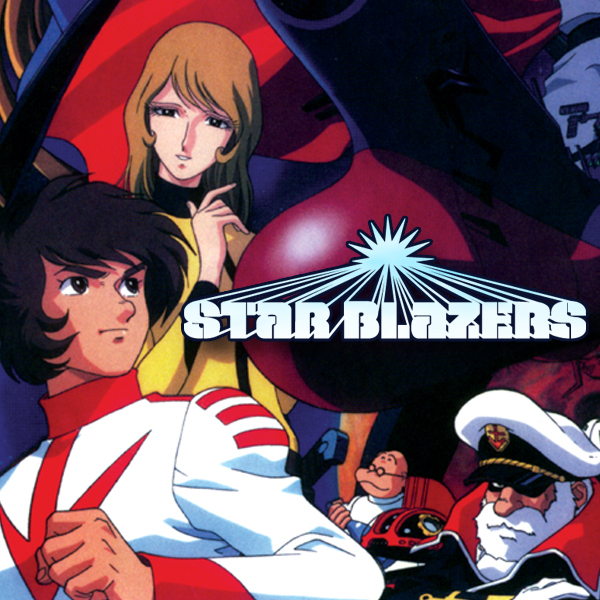 The best of these, in my opinion, was a show called Star Blazers from 1974. This show was made up of two series, “The Quest for Iscandar” and “The Comet Empire”. Both series featured state of the art animation for its time with riveting stories and believable characters. Both story arcs follow the exploits of the Star Force, a group of the Earth’s best military and scientific people brought together for one purpose, to save the Earth. 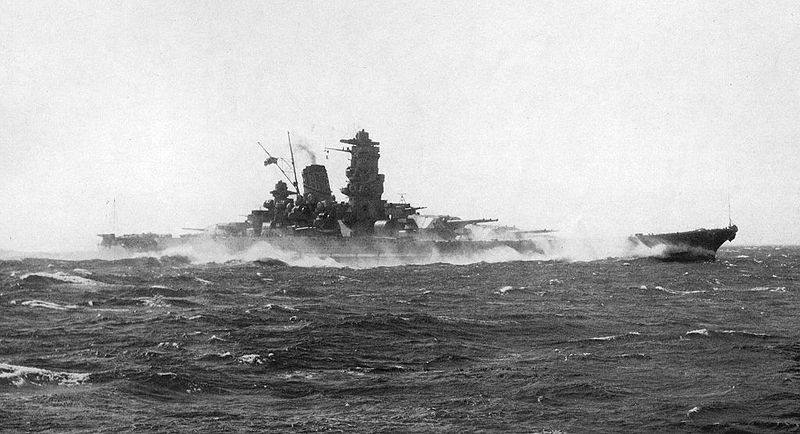 Their mode of transportation is a re-commissioned sunken Japanese battleship, the Yamato, renamed for the US as the Argo, that was sunk during World War II. It is now a fully functioning space battleship. What made this series so great was that not only did it offer a great story with characters you believed in, but was also able to strike your emotions, especially when characters died. 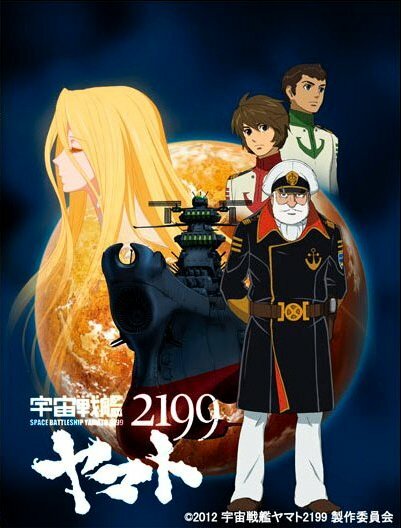 This past year saw the re-imagining of “The Quest For Iscandar” story with the series SPACE BATTLESHIP YAMATO 2199. When this first came out in Japan you could see it on the big screen, showing multiple episodes at a time back to back (which were then released shortly thereafter onto blu-ray). Thankfully, though expensive, these blu-rays feature English subtitles. I had been hearing good things about this new series online and could not wait to get my hands on my own copies. Let me just say that I was not disappointed. This new version is basically the same story as the original. An alien race from the planet Garmillas, bent on ruling the universe, targets Earth for their next conquest. They attack the planet with radiation-filled meteors that destroys everything, forcing people to move underground. With the amount of radiation inflicted onto the planet, everything will be dead within a year. Then there is a sign of hope; the Earth is contacted by Starsha, from the friendly planet Iscandar, saying that she has something that will get rid of the radiation, bringing the Earth back to its original beauty. Unfortunately, she cannot deliver the Cosmo Reverse System to Earth; we have to go to her. She also sends along the plans for a wave motion engine, giving the Yamato the tools it needs to travel the 148,000 light years from Earth to Iscandar and back. Of course, the crew of the Yamato faces danger the entire voyage thanks to the leader of Garmillas, Aberdt Dessler. Viewers of the original series will love this new version, as it not only sticks to the original storyline, but it also adds a lot to it. The characters are developed more this time which I really liked, because you got to know them better and feel emotionally attached when something happens to them. Characters such as Yuki Mori, have a much larger back story then before and now she is competing for the love of Susumu Kodai (pictured above). In addition to the cast from the original series, we are introduced to many more new characters, all of whom make this adventure all the more enjoyable. 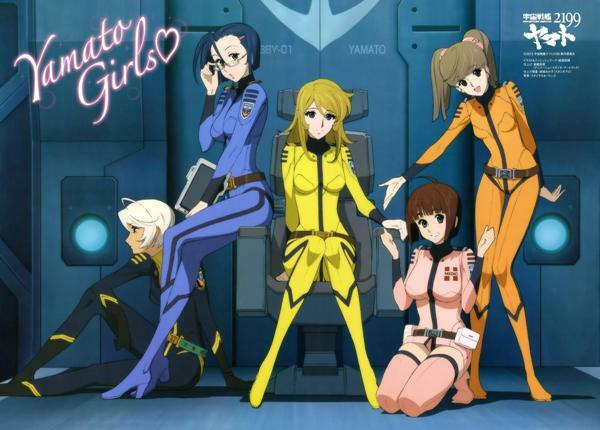 In the original series, the only real female characters we had were Yuki and Starsha. In this series we are introduced to quite a few strong female characters, all of which play important parts in the story. Another big part of anime is the music. 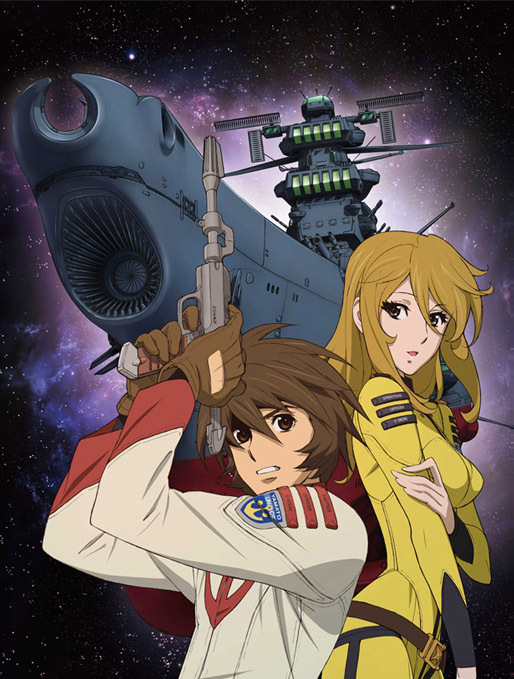 It has always been as important to the product as the animation itself and when it comes to Space Battleship Yamato, the music is among the best ever produced. The main theme and battle marches are perfectly in tune for this show. The original score was composed by Hiroshi Miyagawa and for the 2013 revamp was re-scored by his son Akira. Though there is plenty of new music here, it’s the original orchestrations that really sound amazing, especially in digital. I cannot recommend the soundtracks enough, despite the high prices. To help remove your money from your wallet even more, there is a whole series of amazing model kits, ships and figures to create the coolest Yamato collection around. The quality is just amazing on all of these items and it just shows, that after all these years, these little series from the 70’s still has such a following…a much-deserved following. There is talk of “The Comet Empire” storyline being remade as well. I really hope this is true. 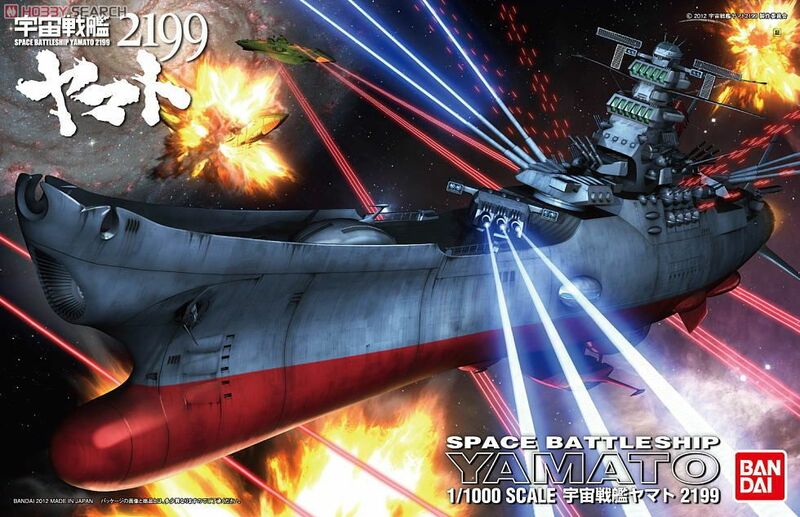 Recently there were also an animated and live action movie made which are also fun to watch but if you want the best, go with SPACE BATTLESHIP YAMATO 2199. It really is the best space adventure of all time! This entry was posted in Anime', Science Fiction and tagged anime, Argo, Derek Wildstar, Gamilons, Garmillas, Iscandar, Japanese animation, Japanimation, manga, Nova, Space Cruiser Yamato, Star Blazers, Starsha, Susuma Kodai, Yuki Mori. Bookmark the permalink. ← 2013 MASK-FEST: Aliens, Hydras, and a Frankenstein Pig! There is a third season after The Comet Empire called the Bolar Wars…. It is really hard to find. The Star Blazers are brought out of mothballs again after earth is attacked again except this time they are tasked to try to find a new planet for mankind. It is a new storyline but it feels real familiar, even Desslok is back! Thanks for the comments, Shawn! We’ll have to look into that!